What is Siebel CRM tutorial? Siebel CRM provides transactional, analytical, and engagement features for all customer-facing operations. 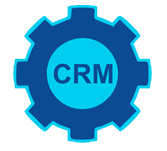 Customer Relationship Management (CRM) is a broad way in different fields like creating, developing, and maintaining a healthy and long-lasting relationship with the customers using technology. This tutorial is mainly intended for beginners to understand the basics of Customer Relationship Management. It will be useful for the readers who have good analytical skills and want to pursue their career CRM. The learner must have a basic knowledge of business administration, marketing concepts, basic database concepts, and software. Should have Analytical thinking, strategic thinking, and good communication skills are a plus. How To Setup The User And Employee Accounts?